We are the most trusted appliance repair company in Honolulu. 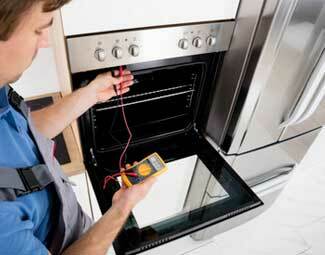 Our company specializes in oven repair as well as other services. Our team is factory trained and certified. They are well trained to work on all brands and models of kitchen ovens. For example, Asko, Bertazonni, Bosch, Dacor, DCS, Electrolux, Fisher&Paykel, Frigidaire, GE, Jenn-Air, KitchenAid, La Cornue, LG, Liebherr, Marvel, Miele, Perlick, Samsung, Siemens, Sub-Zero, Thermador, Traulsen, True, Viking, Whirlpool, Wolf and many more. No matter what kind of issues you have with your oven we will be able to diagnose it and fix it promptly. We work fast because we know exactly what we are doing. But we are also very detail oriented. Our philosophy is measure twice and cut once. We guarantee our customers the best results! You will get kitchen oven that works like new and will last a very long time without any issues! What if your oven does not reach set temperature or takes to long to reach the right temperature. Or it produces too much heat or not enough. All those are typical symptoms of a broken oven. There could be different reasons for all those problems. For example, your heating element or control thermostat can be broken. It could be temperature sensor not detecting temperature or the whole electronic control board. Anyway, you need a professional to take a look at your oven and to fix it. Our team will be able to figure out what is causing the problem. They will find the easiest and most appropriate way to repair it. Whether it involves just a little cleaning and tinkering or ordering new parts, our company will handle everything. And we will make sure all the parts are installed appropriately. We know how annoying it is to have a broken oven. Your food may not cook properly and even be unsafe to eat. Your house may end up saturated with fumes from the oven. It can be a real safety and health hazard. That is why we try to come to you as fast as possible. Just give us a call, and we will work around your schedule even on weekend and afternoons. In fact, we even can come the same day for an oven repair emergency. Besides our knowledge and experience, we also offer our client in Honolulu one of the best customer services. Our technicians are not only professional. They are also, friendly and ready to share their knowledge. We will work around your schedule even on weekends and in the afternoon. Same day service is available. 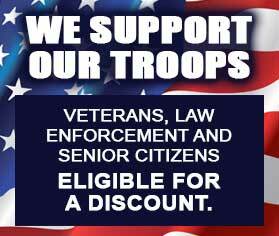 Also, we offer a FREE estimate as well as the service call is waved with every repair. Our company strives to get you the highest quality professional repair service at the best prices possible. Nowhere else can you get such an excellent oven repair service in Honolulu. We know how annoying it is to be without an oven. Your dishes pile up. And who has time to hand wash them? That is why we work fast to help you. We have a warehouse full of parts and can get you most of them right away. And our parts are all high quality and made by oven manufacturer. Honolulu Appliance Repair Pro is appliance repair expert with more than 30 years of experience in the industry. Our company knows everything there is to know about kitchen appliance repair as well as a washer and dryer repair. In particular, we are great when it comes to oven repair. We have been repairing dishwashers for a year all around Honolulu. Just give us a call, and we will be on our way to serve your broken oven. Our service area includes Āina Haina, Ala Moana, Aliamanu, Camp HM Smith, Capitol District, Downtown Honolulu, Fort Shafter, Hawaiʻi Kai, Honolulu, Kahala, Kaimuki, Kakaʻako, Kalihi – Palama, Kalihi, Kuliouou – Kalani Iki, Leahi Park and the rest. Besides oven repair we also do refrigerators, washers, dryers, stove and ranges, ovens, steams, microwaves, freezers, ice makers, barbecue grills, pizza ovens, AC repair and much more. That includes both commercial appliance repair as well as residential appliance repair. What makes us different from other companies is that all of our personality is factory trained and certified. They know exactly what to do with your appliance. They will quickly determine what the problem is and strive to resolve it as thoroughly as possible. We want to make sure that your broken appliance is functioning as good as new and we will do anything to achieve this. Our team is detail oriented and makes sure to double check everything. It does not matter what brand your appliance is. We work on all the brands and models of appliances. We can fix an old oven that is more than 20 years old as well as a brand new one that just came out. Our company specializes in luxury appliances repair and European appliances in particular. We are the people to go to for best appliance repair service in Honolulu. If you need oven repair in Honolulu, please give us a call. Our phone number is 808-518-2966. Our team will immediately connect with you and set you up for a convenient service appointment. A technician who specializes in your particular equipment will be soon on his way. We will make sure to bring all the tools and equipment necessary as well as a majority of the parts. Our technician will start working on your oven as soon as possible. He will check all the simplest solutions first. For example, did you clean the drain and is water connection connected well. Eventually, he will determine what the issues are. Sometimes our technician can fix things right away. Just some cleaning and twidling were required. But sometimes parts will be ordered. Very linky we even have those parts on hand. If not, it’s likely in our warehouse. If the parts are very usual or unique of course, we can order them for you from the manufacturer. Once we get the parts, we will adequately install them and will test your oven to make sure it is working great. We will clean up after ourselves and make sure to recycle or dispose of all the old parts. You can trust us to do an outstanding job in oven repair for you! We have over 30 years experience in business, and we know exactly how to deal with any appliance problem. Our team is extremely knowledgeable and educated about all the modern appliances. They are all factory trained and certified professionals with a lot of hands-on experience. We often repair the ovens that other companies can not. For example, if the oven is too old or it’s hard to find parts for it. We can still do the job. Also, we work with a lot of European brands and luxury brands of ovens. In fact, there is not a brand or a model of kitchen appliance that we will not be able to fix. Our service is fast, convenient and well priced. We work with our clients to make appliance repair more affordable. Give us a call, and your oven will be working as good as new. If you need oven repair in Honolulu, please give us a call at 808-518-2966 or fill out our short contact form. Our friendly island of Oahu customer service will connect you with a certified technician. He will be able to take care of your broken oven in no time at all. We serve the whole of Honolulu. That includes Liliha-Kapalama, Makiki, Manoa, Mccully Moilili, Moanalua, Niu Valley, Nuʻuanu, Palolo, Pauoa, Red Hill, Salt Lake, The Arts District Honolulu, Waialae, Waialae – Kahala, Waikīkī, Āina Haina and the rest. Our company is the best Oahu appliance repair service provider guaranteed.